Dimensions 0.75 by 5.50 by 9.75 in. Amazon.com description: Product Description: Presents a provocative argument stating that inappropriate beliefs, rather than organized religion, are responsible for ignorance-based conflicts in today's world, in a report that argues that belief systems that perpetuate discrimination, hostility, and thought restriction are not supported by core religions. 40,000 first printing. About: Presents a provocative argument stating that inappropriate beliefs, rather than organized religion, are responsible for ignorance-based conflicts in today's world, in a report that argues that belief systems that perpetuate discrimination, hostility, and thought restriction are not supported by core religions. 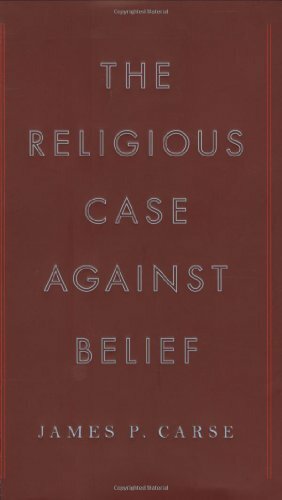 About: An insightful explanation for why belief-not religion-keeps us in a perilous state of willful ignorance Through careful , creative analysis, James P.